Birmingham has been an arms making town since forever. The origins of the Birmingham Small Arms Company draw on that heritage. A thriving arms trade by Smiths and Cutlers had been mentioned as early as 1538. Groups of gunmakers from Birmingham had been supplying enormous amounts of arms to British as well as foreign armies since 1692. But after the Crimean War, Birmingham faced a crisis. Their contribution of hand made weapons far outweighed their competitors, but the Government armories at Enfield threw a new wrench in the works. They started using machinery to make guns, not only cranking out a superior number of guns per week, but it was also easier to make the parts interchangeable, something hand made guns could never accomplish. To remedy their situation, around 1860 a group of Birmingham gunmakers formed the Birmingham Small Arms Company with the intention of buying machines to build guns the new way. 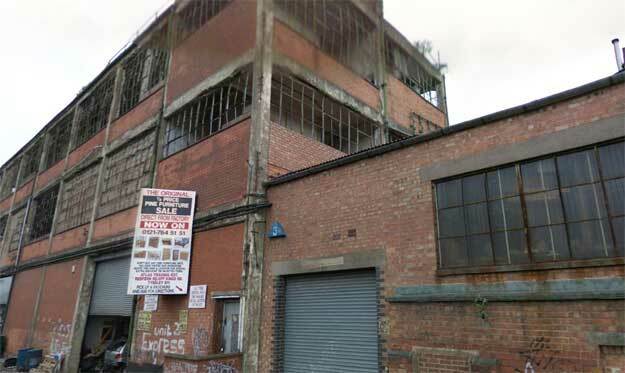 They bought a plot of ground outside Birmingham at Small Heath and set up their factory there. The board of directors included notable members of the arms trade. J. F. Swinburn later had a patent on a modification to the Martini Henry rifle, and Charles Pryse of Pryse and Redman, maker of muskets and handguns. With a government contract to build Snyder conversions and other contracts to foreigners, BSA was working overtime to keep up. The boards influential contacts with the government's elite helped keep work coming during lulls in European Wars. By 1868, BSA could be considered the largest armament company in the world. In 1870, the orders for Snyders ended, and the production of Martini-Henrys began. 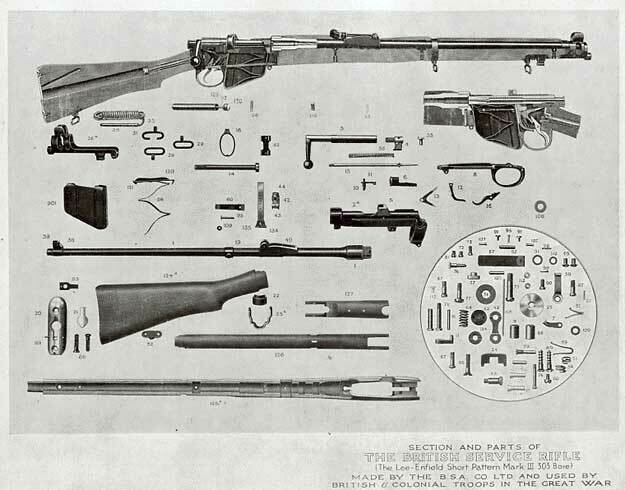 This progressed over the years to include each new service rifle for the British Government, up to Lewis guns in WW1, and the Lee Enfield through WW2. 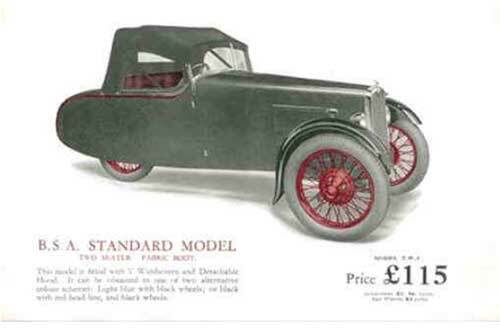 BSA was something more than just a company building things to make a profit. They were also fiercely patriotic, during crises or national emergencies the company would drop everything it was doing to crank out guns needed by the government. The foreign orders, no matter how lucrative, would have to wait. 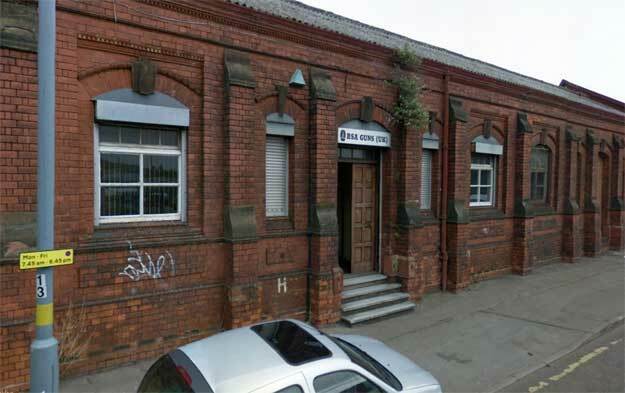 To their credit, most British armament firms, like Elswick, were the same way. BSA and their contemporaries were the spiritual ancestors of the modern military-industrial complex, represented in the modern era by companies such as BAE, and for the Americans, Northrop-Grumman. Around 1880 the company branched out into bicyles in a big way. One of their best known was a bicycle for use with soldiers, which could be folded and carried on their backs. They started manufacturing motorcycles in 1902 and even cars in 1910 (with the acquisition of Daimler) which included armored cars in WW1. During WW1 the company turned it's entire assets towards war production. They built a million and a half Lee Enfields, and over a hundred thousand Lewis guns. They had already acquired the National Arms and Ammunition company and was well placed to provide munitions. Other military vehicles, including motorcycles and bicycles were also made. 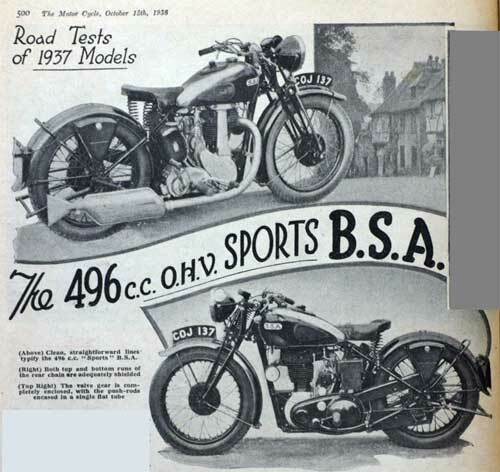 In WW2, BSA's empire consisted of sixty seven factories and numerous companies. Besides rifles they also built Sten guns and Browning machine guns. The company provided over half of all the small arms used by England during the war. Once again they built over a million rifles. Their totals included 500,000 Browning machine guns, over 30,000 20mm guns, 68,000 anti-tank rifles and 750,000 rockets. 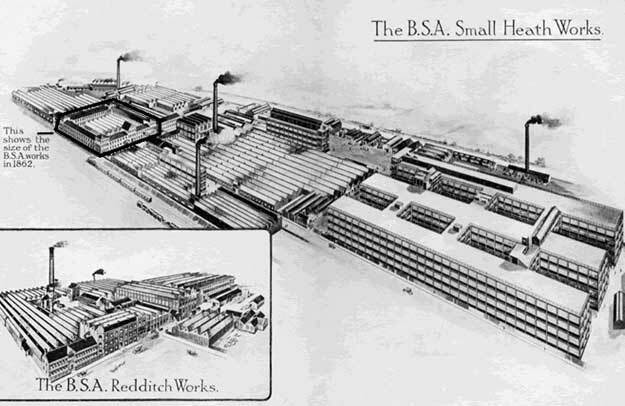 BSA employed 28,000 people by the end of the war. One German raid killed 53 workers at the factory who wouldn't leave their machines till the last moment. After the war, BSA turned to other metal goods and motorcycles for income. They were the largest motorcycle manufacturer in the world when they absorbed Triumph. But all things do come to an end, and Japanese and German competion and troubles at home with labor unions brought BSA down. The company re-organized in 1971 but by 1973 they were done. 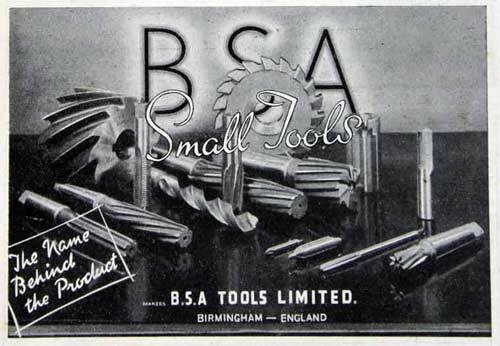 The brand rights of BSA are now owned by the BSA Regal Group, a collection of engineering companies in Southampton, and air guns and shotguns are still made by the small BSA Guns Company, who are situated in one of the old BSA buildings.